I was having a discussion with a colleague this week around how technology and classroom practice develop over time. Further, we talked about how there are certain apps that can perform the same job as another strategy, but they can do it cheaper or easier. For me this is vital for classroom usage- technology should save time or money; otherwise they can become difficult to maintain. So here are my top ten apps for the classroom. Padlet is a mind-mapping tool with a difference, by switching on Airplay on their iPad users can collaborate in real time. I like to use this at the beginning and end of a topic to gauge children’s understanding. Also, if you just want to gauge the understanding of a group of very quickly then this can be an ideal tool to do it. Drag up from the bottom to find Airplay. Music can be a powerful tool in helping people to remember facts, this can especially be true with children. This is how Ditty can be of use in the classroom. To use the app all you do is type a message of up to 50 characters, choose a tune and it becomes transformed into a ‘ditty’. I have used this in the class to help children with quick facts or an instruction like ‘could you quietly tidy up? ’ this is sure you grab your children’s attention! If you ever want to create movies similar to Wallace and Gromit then this is the app to do it. Create beautiful stop motion animated movies anywhere instantly on your device. Everything you need at your fingertips. No computer needed. It’s simple to use, it’s incredibly powerful most importantly with a bit of pedagogical knowledge it has the potential to tie in with almost any theme you might be covering. There are a few green screen apps available on the market but the one I prefer is Greenscreen by Doink. In my opinion it is the best one available – especially as I would prefer for the children to be in charge of the editing the video. The task of doing this is simple you place a video that has been recorded using the camera app onto the first bar, next you can either place another video in the middle bar and finally in the lowest bar you can place your background image. These days there are lots of video editing apps that are available both for a tablet and a PC, however the child-friendly layout of iMovie takes some beating! You open the app and can either create a trailer, which allows you to physically place videos and pictures into a set template, or create a movie without a template. With the trailers there are 12 different templates that give a ‘Hollywood’ sheen to your clips. Further, as it has quite a child-friendly layout, your class can quickly navigate themselves around it and make some very effective videos. AudioBoom is an app for recording and sharing your voice with the world. This free version allows you to create audio up to 3 minutes in length and post that to your own account on the web. You can add titles, tags, geographical location and a photo to the recording before you upload it. Also, it is worth noting that if you go on the desktop version of the website you can print QR codes of these sound recordings or embed onto a website. Plickers allows you to poll your class for free, without the need for student devices. Just give each child in your class a card (“paper clicker”), and use your iPhone/ iPad to scan them to do instant checks-for-understanding, exit tickets, and impromptu polls. Best of all, your data is automatically saved, student-by-student, at plickers.com. The app on your device can read the orientation of the child’s plicker and can then interpret it in an easy to understand form for the teacher. ClassDojo is a bit of a global phenomenon, essentially it is a behaviour management app. Quite handily it is available on the desktop to be shown during lessons and to review afterwards, pupils and parents can also download the app to review your pupils’ behaviour progress throughout the week. ClassDojo relies on positive (add points) and negative reinforcement (take them away but give them back) and I have found it to be very effective in the classroom. 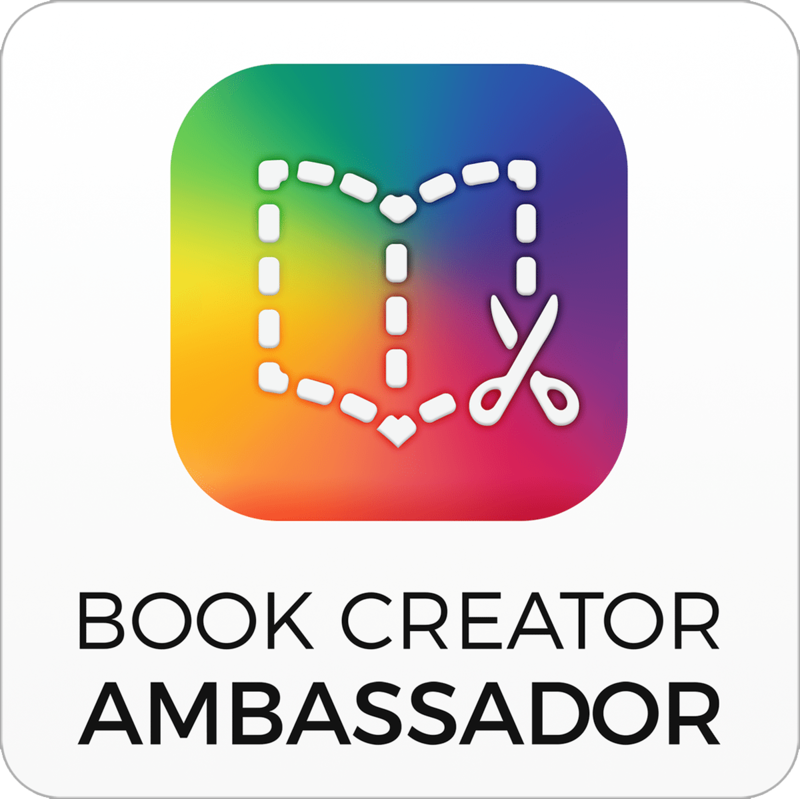 Book Creator is an app that allows you to place text, videos, audio and images in a book layout, when completed this can be exported in iBooks and even published to the iBookstore. In my opinion this app is quite powerful, as it allows children to combine multiple parts of their learning about a particular theme into one piece of work; which demonstrate curriculum and technological skills. In summary, I hope this helps some of you these are just some core apps that I find useful on a weekly basis. In the future, I will be doing more in depth blog posts about each of the apps; with helpful pictures and videos to help you get started with them. There are so many apps out these days that are constantly being developed, so I will also be covering subject areas such as assessment, digital literacy and maths.